Hanno joined Zurich Insurance Company Ltd. in 2007. As Global Head Corporate Life & Pensions (CLP) he is responsible for Zurich’s Corporate Life business across all its major markets. 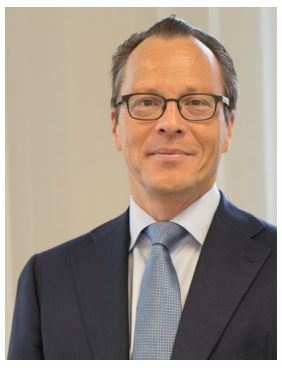 Born in the Netherlands, Hanno Mijer began his career with AEGON Insurance in the Netherlands, Eastern Europe and Asia gaining 14 years of experience and holding a number of marketing, sales and executive positions, including Head of Business Development Asia and SVP Marketing & Sales of its Dutch Corporate Life & Pensions division. Prior to joining Zurich, Hanno was seven years on the Global Management Team of Watson Wyatt’s Insurance practice, responsible for global marketing and sales. Hanno Mijer holds a Masters in Actuarial Science from the University of Amsterdam and completed executive courses at Harvard, INSEAD and IMD. Hanno currently resides with his wife and four children in Zurich. He is a big fan of Ajax and the Dutch football team and enjoys skiing, running and reading.